Schwervon! 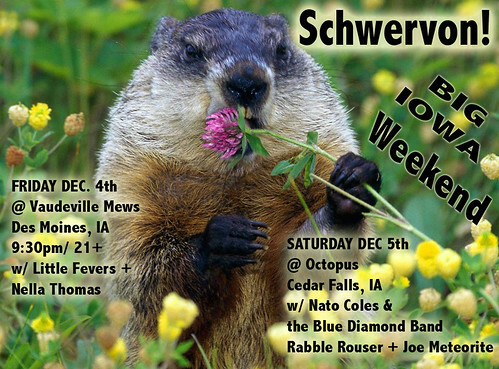 Big Iowa Weekend Coming Attcha! | Schwervon! Schwervon! Big Iowa Weekend Coming Attcha! This entry was posted in Uncategorized and tagged Cedarfalls Octopus, Little Fevers, NatoColes & the blue diamond band, Nella Thomas, Rabble Rouser, schwervon live, Vaudeville Mews. Bookmark the permalink.